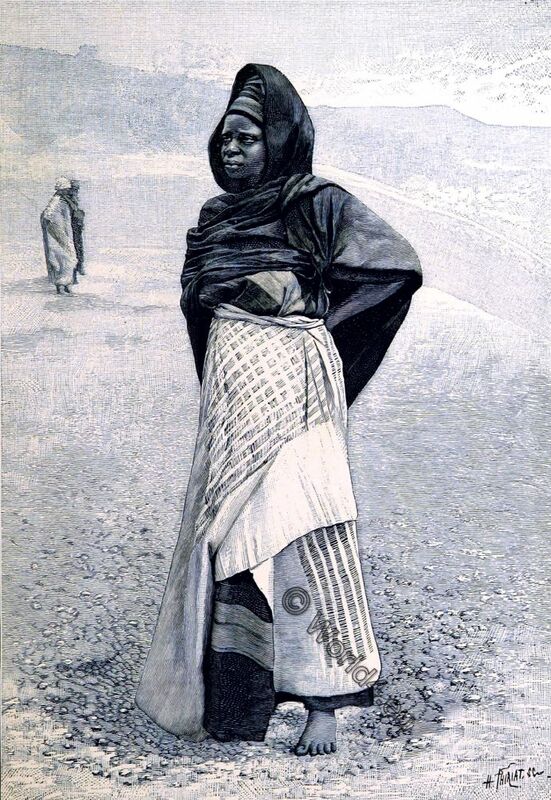 Nigeria, Nupe woman around 1878. This entry was posted in 1878, 19th Century, Africa, Nigeria and tagged Traditional African dress, Traditional Nigeria Costume on 3/11/18 by world4. 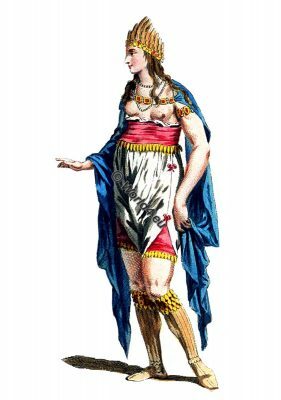 Habit of a Woman of Africa in 1581 from Habitus Variarum. This entry was posted in 1581, 16th Century, Africa and tagged Collection of the dresses, Traditional African dress on 10/1/17 by world4. Usagara. Chief of Mamboya, with his son and witch doctor. 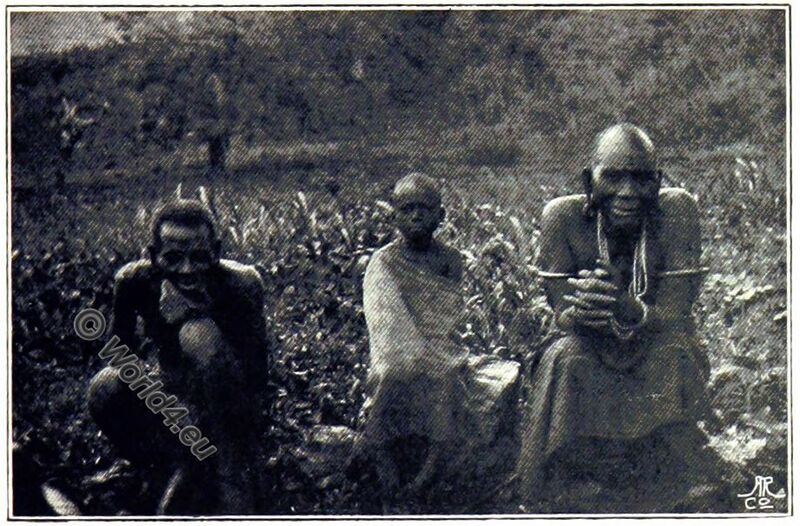 Chief of Mamboya, with his son and witch doctor. 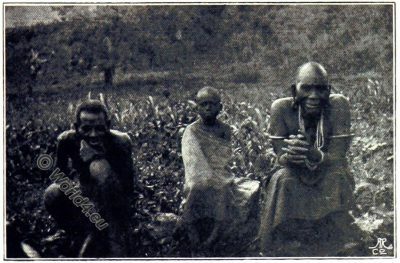 This entry was posted in 1899, 19th Century, Africa, Tanzania and tagged Colonialism, Traditional African dress, Tribal Costumes on 9/10/17 by world4. 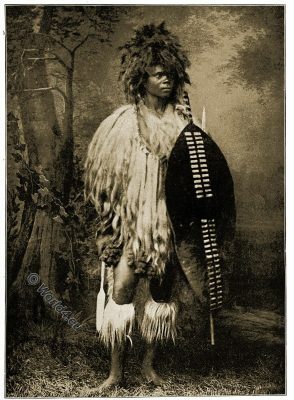 Zulu Warrior. Zulu-Kraal. South Africa 1899. Zulu Warrior and Kraal. South Africa 1899. Wedding dance, ornaments utensils, interior hut. This entry was posted in 1899, 19th Century, Africa, South Africa and tagged Colonialism, Traditional African dress, Traditional South Africa Costume, Tribal Costumes on 9/10/17 by world4. 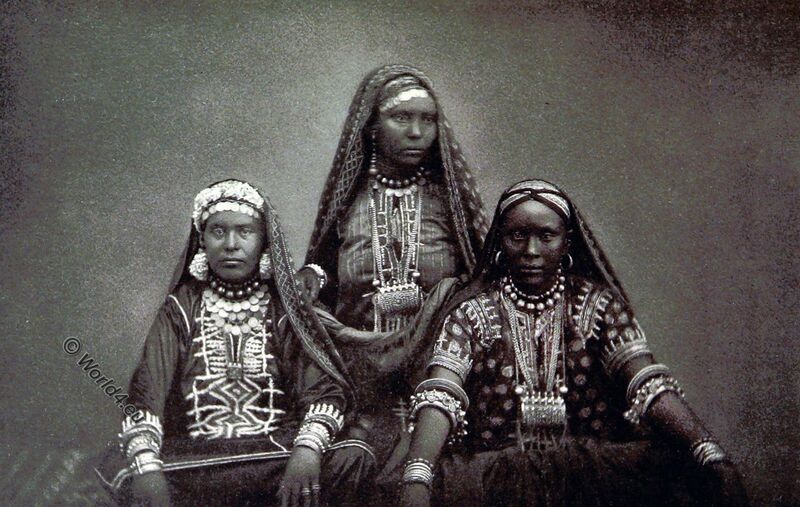 Women from Aden, Somalia 1885. 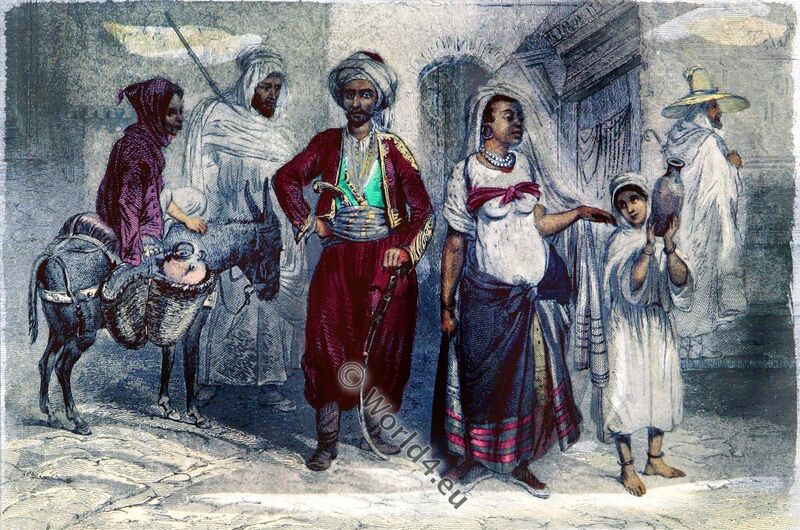 This entry was posted in 1885, 19th Century, Africa, Somalia and tagged Traditional Arabian costumes, Traditional Somalia Costume on 8/30/17 by world4. 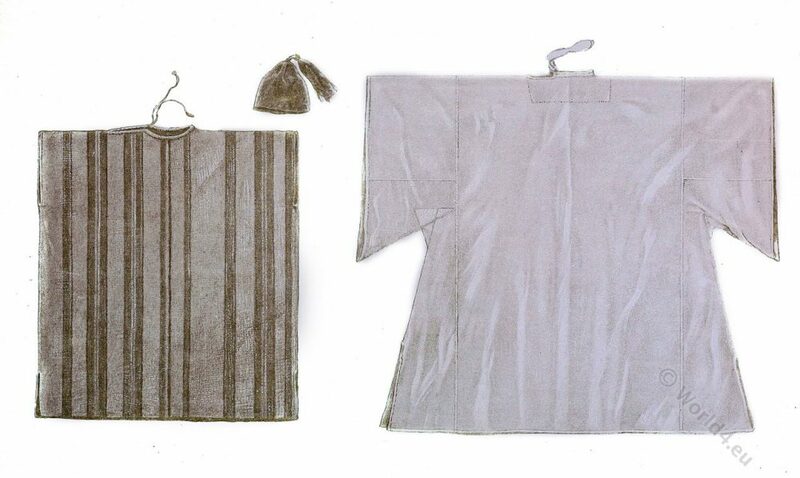 Costume of Gambia. 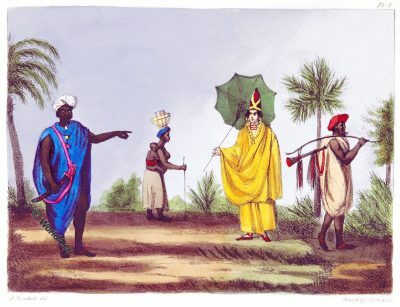 Voyage to Africa 1823. This entry was posted in 1823, 19th Century, Africa, Gambia, Traditional and tagged Traditional African dress on 8/5/17 by world4. Historical Berber costumes from Morocco, 1862. Historical Berber costumes. Morocco, 1862. This entry was posted in 1862, 19th Century, Africa, Marocco, Traditional and tagged Traditional African dress, Traditional Arabian costumes on 12/24/16 by world4. Zulu group with weapons. South Africa 1876. 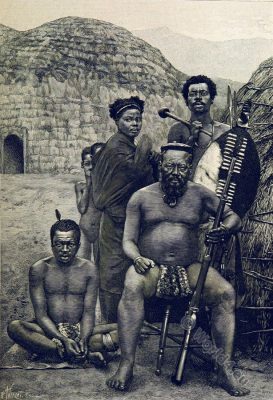 Zulu group. South Africa, 1876. This entry was posted in 1876, 19th Century, Africa, South Africa, Traditional and tagged Traditional South Africa Costume, Traditional Zulu clothing on 10/24/16 by world4. Seh-Dong-Hong-Beh. An Amazon in the Dahohman Army. 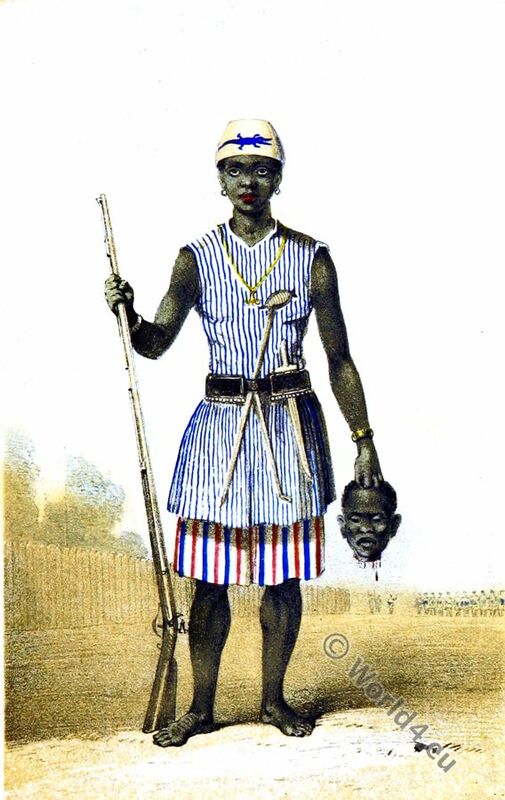 From the 17th to the late 19th century Dahomey had women regiments in the army. This entry was posted in 1849, 19th Century, Africa, Benin, Military and tagged African military on 9/24/16 by world4. 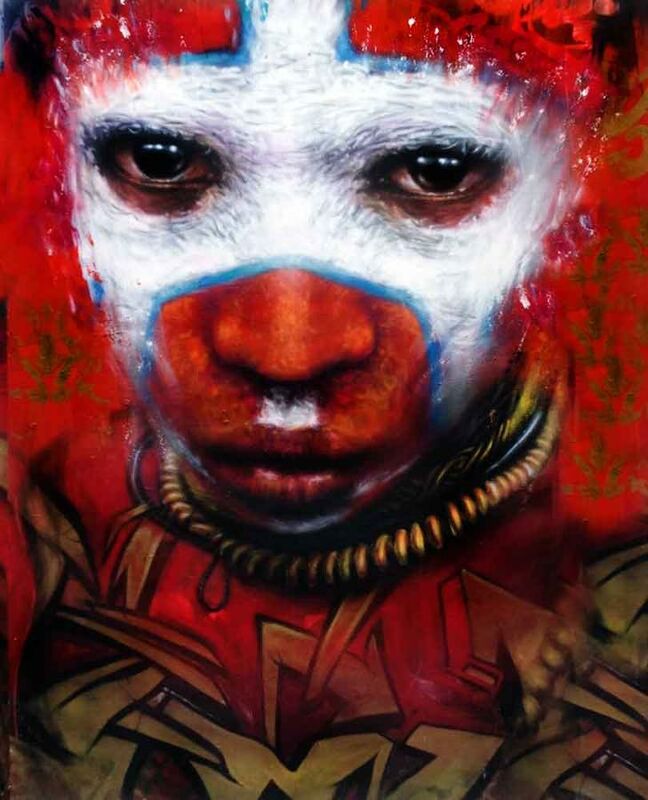 Art work by Dale Grimshaw. East London, 2016. Art work by Dale Grimshaw, London 2016. This entry was posted in Africa, England, Fantasy costumes, Genre and tagged Traditional African dress on 9/24/16 by world4. This entry was posted in 20th Century, Africa, Marocco, Traditional and tagged Max Tilke, Traditional Arabian costumes on 9/1/16 by world4.